A MOTHER of one killed in a suspected domestic incident had texted her sister saying someone was "creeping around" her house - but it wasn't read until it was too late to help. The Herald understands a man allegedly used a rock to assault 26-year-old Jasmine Cooper at a Coronation St house in the small town of Te Hana, just north of Warkworth. Neighbours called police after becoming concerned about a woman at the home, but stayed inside. Ms Cooper was dead when police arrived at the house yesterday soon after 4am. Her child was not there. Shortly after, police arrested a 40-year-old man known to her. 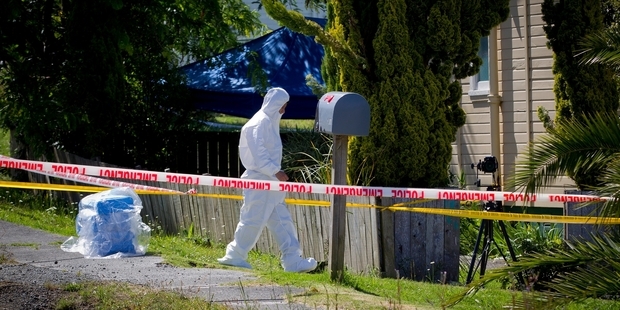 He was at a house on Southgate Rd in Warkworth, about 25km away. Police could not comment on the specifics of the death, but several people close to those involved said a rock had been used as a weapon. Ms Cooper's sister Crystal told TV3 she received a text from her sister overnight saying someone she knew was "creeping around her house and wouldn't go away". But her phone was flat and she didn't read the text until she woke up in the morning and it was too late. Her brother Zak Cooper told the network: "She was the best sister anyone could have asked for. I'm never, ever going to celebrate Christmas now." A man is expected to appear in the North Shore District Court today and is likely to face assault or more serious charges. A post-mortem examination was expected to be held today to establish how Ms Cooper died. Police were carrying out scene examinations at both properties. Ms Cooper's death comes just days after police appealed for victims of domestic violence to seek help over Christmas "before situations escalate out of control". They said domestic violence was always a concern, but especially over holiday periods when stress tended to cause a rise in incidents. The chief executive of Women's Refuge, Heather Henare, said about 2000 New Zealand women and children experienced domestic violence over the Christmas period. "The festive season provides a variety of challenges for violent or potentially violent households," she said. "Money stresses, families spending more time together and alcohol can all contribute to a cocktail of violence and unhappiness."